Urbanism enthusiasts often ask me to name a single factor that propels implementation the farthest, the fastest. I’m convinced it’s the presence of a special breed of public official in local government, one that thinks like an entrepreneur and likes making plans happen instead of just going through the motions. I’ve met a few and worked for some of them. Sometimes it’s a mayor, or a city manager, a redevelopment director, or a public works official. But more often than not, when we find one of these rare people, he or she is the planning director. Planning directors have a key gatekeeper role as dead-serious procedural bureaucrats and regulators, and thus have to spend an inordinate share of their time talking people out of bad stuff or managing the dull technicalities and rules. (To be sure, there are enough bad proposals out there worth all the resisting.) Now and then, though, a planning director gets to stick up for good things, working as a creative leader and not just a development-applications traffic cop. Now and then, the director gets deeply involved with shaping the real physical qualities of the city, not just the conveyor belt of administrative paperwork. In these moments a Planning Department is actually about planning, not just permitting. An official who learns to make this occur more often becomes a change agent, leaving their city better than they found it. These officials manage to connect with why they went to planning school in the first place. Kenneth Groves was one such change agent. Ken was the late planning director of the City of Montgomery, Alabama, where he led the adoption and use of transect-based land development regulations. With Ken at the planning helm, Alabama’s capital city began to transform. 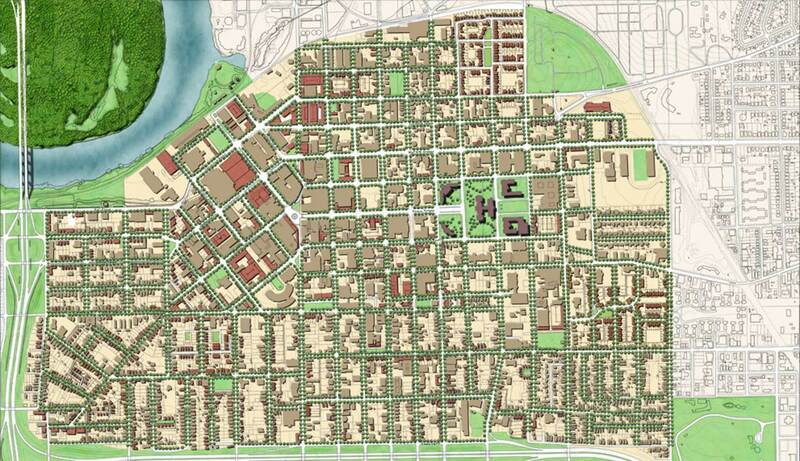 Well into a third decade as a planner he reinvented himself as a new urbanist. Nearing pension stage, when others would become shy and conservative, keeping their heads low and avoiding risks, he embarked on an ambitious program to remake planning and development in Montgomery. 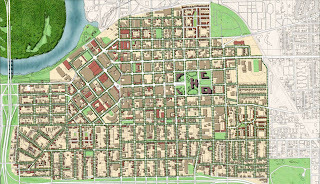 He rallied a multiracial coalition of activists, investors, creative businesspeople, and government types behind a series of downtown revitalization schemes, culminating in a Downtown Master Plan that reversed old anti-urban policies accumulated during the sprawl era. Ken cajoled the elected officials to adopt the SmartCode, making Montgomery one of the first large cities to do so. He was a tireless troubleshooter and tinkerer, never one to take no for an answer, and recruited academics to research how to reformulate the laws, transportation planning, and public investments. 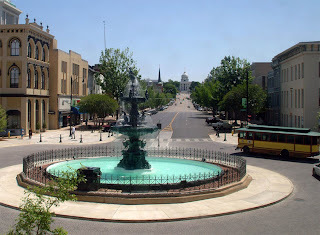 Ken was especially proud of the reconstruction of the Court Square plaza that anchors one end of Dexter Avenue, Montgomery’s formal main street. Dexter Avenue—from the Court Square fountain to the imposing State Capitol building—was the last part of the route taken by the civil rights marches in Alabama. Ken took that history seriously, and knew the bland pedestrian mall had to go. But once agreement had been reached to reconstruct the space, the battle was just beginning. Ken had to persuade skeptical engineers that a traditional plaza would work instead of an overly complex, overdone, overstriped intersection. He saw that it could be a type of space common in Europe but almost never built recently in America. Ken and new urbanist transportation engineer Rick Hall somehow pulled this off. I’ll bet it was in part because of Ken’s likable sense of humor; he had a way of making people like him even when he was downright disagreeing with them. I’ll also bet it was in part because these men detected the persistence behind his vision. This idea wasn’t going away. They built it Ken’s way, and Rick’s, and the renewed Court Square has turned out splendidly. Groves was eager about involving more hands and training others. He reinvigorated longtime city staffers and brightened the careers of many in City Hall. He drafted young urban designers as new city staff and turned them loose on proposal after proposal around town. He recruited outsiders to help with the cause, too, and we were very fortunate to work for him as consultants—he taught us a lot and demanded our best work. Ken’s influence began to spread far beyond Montgomery. He was a frequent speaker around the country and made it his mission to explain new urbanism and code reform in countless training sessions, workshops and conferences. He gave confidence to his fellow local government officials who were accustomed to just hearing consultants advocate for new urbanism. Here was one of their own, explaining it from their point of view. This was especially important in Alabama and elsewhere in the conservative South. When Hurricane Katrina hit, Ken volunteered time and advice to a number of Gulf towns struggling to restart and replan their communities. 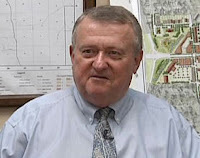 After Ken passed away, the Transect Codes Council and the Congress for the New Urbanism decided to jointly create the Kenneth Groves Award in his memory. This award recognizes leadership and vision by public officials who promote and support transect-based planning. I had the honor of being jury chair for this year’s inaugural award, which will be shared by former Miami mayor Manny Diaz and longtime Miami planning director Ana Gelabert-Sanchez. Diaz and Gelabert-Sanchez shepherded the “Miami21” breakthrough, arguably the most ambitious reform of big-city zoning in modern times. They will receive a certificate beautifully designed by Steve Mouzon. The award ceremony will be held as part of the 19th CNU Congress, in Madison, Wisconsin, at 5:30pm on Saturday, June 4, 2011, following a remembrance of Ken Groves presented by Chad Emerson. Of course since everyone has the chance to do what it right. I think everyone has that time frame to do so, it's just a matter of choosing to do so.